KARACHI: Pakistan Peoples Party co-chairman Asif Ali Zardari on Friday obtained interim pre-arrest bail from a banking court, which had earlier reissued non-bailable warrants for his arrest in an alleged money laundering case. Earlier, the Federal Investigation Agency (FIA) had shown Mr Zardari and his sister Faryal Talpur and 18 other suspects, who are believed to be beneficiaries of fake bank accounts from which Rs4.14 billion has been transferred and routed to different private business entities and individuals, as absconders. Therefore, the banking court reissued a non-bailable arrest warrant for Mr. Zardari and directed the investigating officer to produce him in court. However, he obtained a protective/transitory bail for two weeks from the Islamabad High Court on Aug 18. On Friday, the former president, flanked by PPP leaders and workers, reached the banking court located in the Federal Government barracks amid extraordinarily tight security. Earlier, the law enforcers had cleared the premises by using sniffer dogs. Mr Zardari surrendered before the trial court and also moved an application through his counsel seeking interim pre-arrest bail. Judge Tariq Mehmood Khosa granted the bail to him against a surety of Rs2 million for 15 days. Earlier, Mr Zardari’s lawyer Farooq Naek said as he was the leader of a major political party, the rivals of Mr Zardari were trying to implicate him in false criminal cases to malign the PPP leadership. Last month, former chairman of the Pakistan Stock Exchange Hussain Lawai and banker Taha Raza were detained and booked by the FIA for allegedly facilitating the opening of 29 ‘fake’ bank accounts through which suspicious transactions were made to different companies, including M/s Zardari Group. In the bail plea, Mr. Farooq Naek said the case pertained to an occurrence which took place between 2014 and 2015, and that Mr Zardari’s name appeared only with respect to a company which allegedly was a beneficiary and he in his personnel capacity had not been shown as a beneficiary in the FIR. 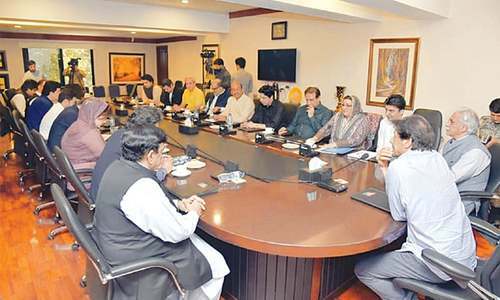 “It is yet to be determined whether Zardari and Co is actually a beneficiary or not and also whether the applicant has any role in the company as such,” the lawyer contended. “The FIR does not reveal that any money laundering had been done by the applicant,” Mr Naek argued. “Furthermore, the FIR does not show in any manner that the applicant has committed any offence of cheating and or forgery. He said the applicant was innocent and his name did not transpire in the FIR as an accused person however the FIA official had malafidely with ulterior motives, without any lawful justification and in order to harass, humiliate, disgrace, politically victimise, malign and defame the applicant had nominated him in the interim charge-sheet as an absconding accused. 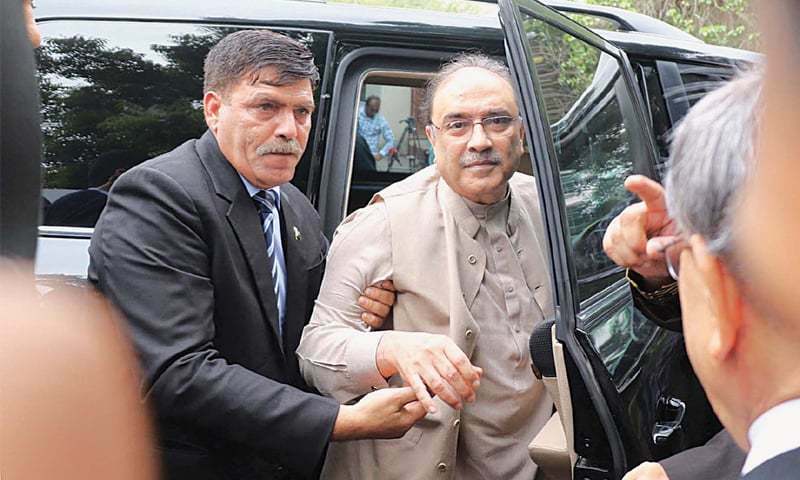 The lawyer said the PPP co-chairman gravely apprehended that he would be arrested, tortured and pressurised by the FIA to force him to make a statement against his own self, and pleaded to grant interim bail to Mr. Zardari. Both the FIR and the charge-sheet were based on false, fabricated and concocted facts, Advocate Naek argued, adding that the names of Mr Zardari and Ms Talpur were falsely incorporated (in the FIR) with malafide intentions and ulterior motives to defame and disparage their reputation and other PPP (election) candidates which was evident from vast coverage of the incident in media. He contended that the FIR and the interim charge-sheet were violative of fundamental rights of the applicant as guaranteed by Article 10-A, 14 and 25 of the Constitution. Concluding that the matter required further inquiry and no evidence so far had come on the record which could directly implicate the applicant in the case, Farooq Naek requested the court to grant bail to the applicant.